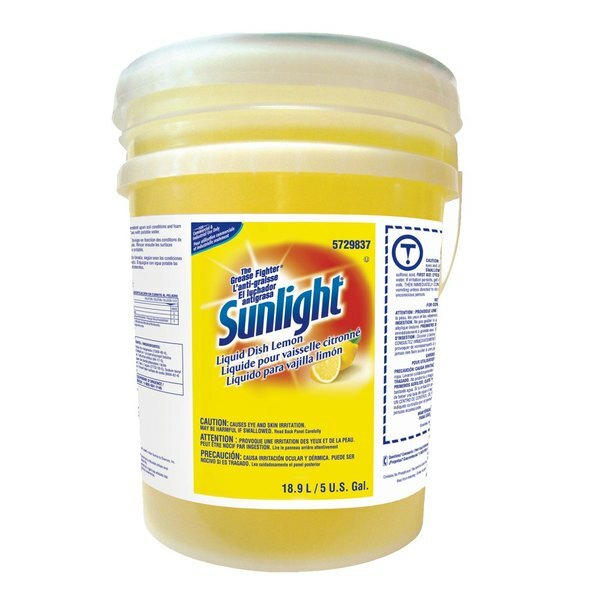 Specially-designed for institutional and foodservice use, this Diversey 95729837 Sunlight 5 gallon dish soap boasts a powerful grease-cutting formula that cleans with a pleasant lemon scent and rinses away to leave a brilliant shine! This highly concentrated product produces long-lasting suds to provide outstanding performance against the greasiest dinnerware, glassware, and cookware. Additionally, the solution is formulated to leave sink areas smelling clean and fresh. An excellent choice for any manual warewashing application, this detergent is pH balanced to eliminate the toughest grime without harming sensitive hands. For increased user convenience, the 5 gallon container comes with an integrated handle for easy transport from one location to the next. The Diversey Sunlight 5 Gallon/ 640 oz. Lemon Liquid Dish Soap smells great and is easy on the hands. It cuts through grease and doesn't leave a residue. This is perfect for commercial kitchens. This is a nice bulk product for easy dishwashing. It is worth the extra money. It works well for quick washing of plates and glasses at a bar or small kitchen. Save Up To $16.87 with our Recommended Product! Why pay more for the same great product? 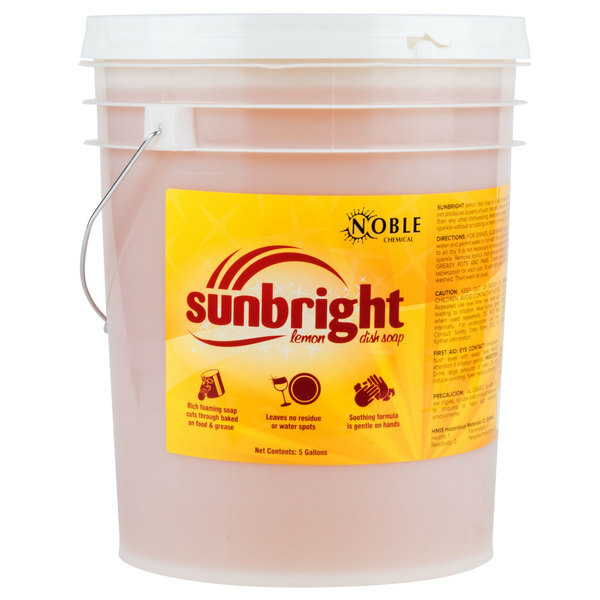 Like the Diversey 95729837 Sunlight 5 gallon lemon liquid dish soap, this Noble Chemical Sunbright 5 gallon liquid dish soap has a high-sudsing formula that easily cuts through grease, dirt, and food build up. However, the Noble Chemical product comes to you at a lower price! Save your money and make the switch.